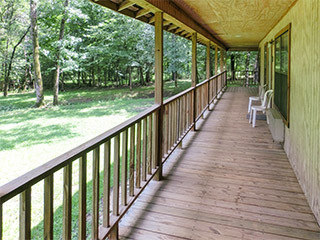 Pine Creek Country Inn has 17 guest rooms situated in 6 Rustic Buildings in a relaxing comfortable atmosphere. 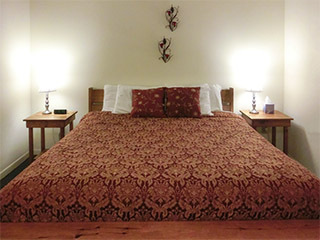 The rooms are large and without exception, spotlessly clean. 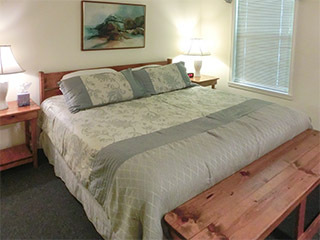 King-bedded room with a Queen size Sleeper Sofa and sitting area. King-bedded room with a Queen-size sleeper sofa in sitting area. 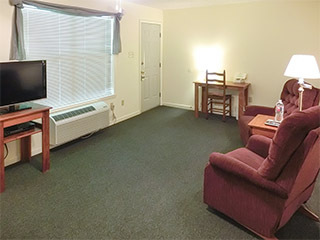 King-bedded room with two (2) comfortable recliners for your relaxation.